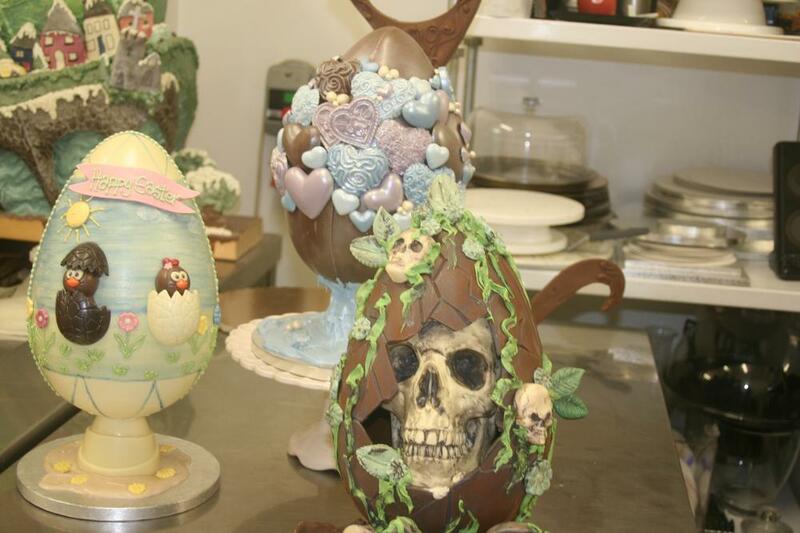 What better way to get into the mood for Easter eggs than to spend a morning with award winning chocolatier Tracey Kindred from Heavenly in the wonderful Carmarthenshire village of Llandeilo. There was a wonderful display of chocolate eggs for sale with something to suit everyone’s taste, including eggs decorated with skull and cross bones as well as the more traditional eggs decorated with pretty flowers, but forget about the designs of the eggs, the most important part of a trip to any chocolatiers is the taste of the chocolate and I can happily sum up the smell and taste of the chocolate on offer here as indulgent. 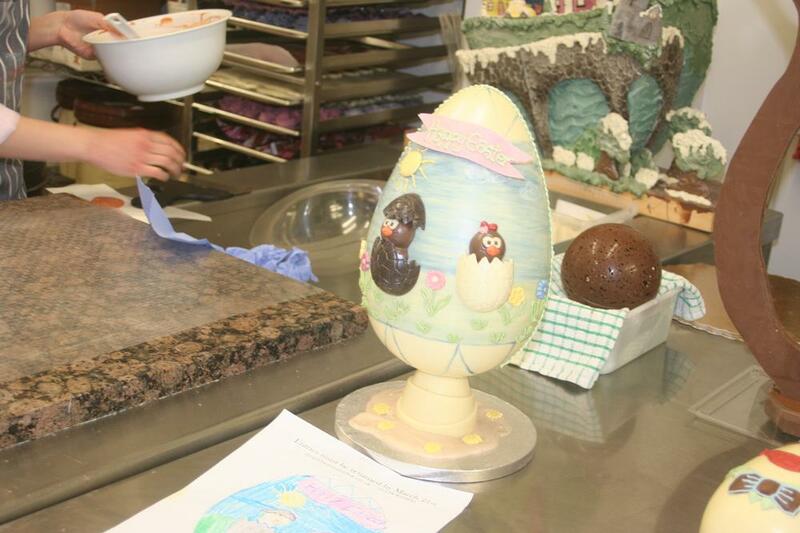 When I arrived at Heavenly, Tracey and her team were enthusiastically putting together a wonderful collection of totally unique Easter eggs to be displayed as part of their Easter egg exhibition. As I watched the award winning Heavenly girls work their magic with chocolate and amazing create one-off chocolate masterpieces I was told that the inspiration for the exhibition had come after visiting the Chocolate and Ice Cream Show in Rimini, Italy in January. 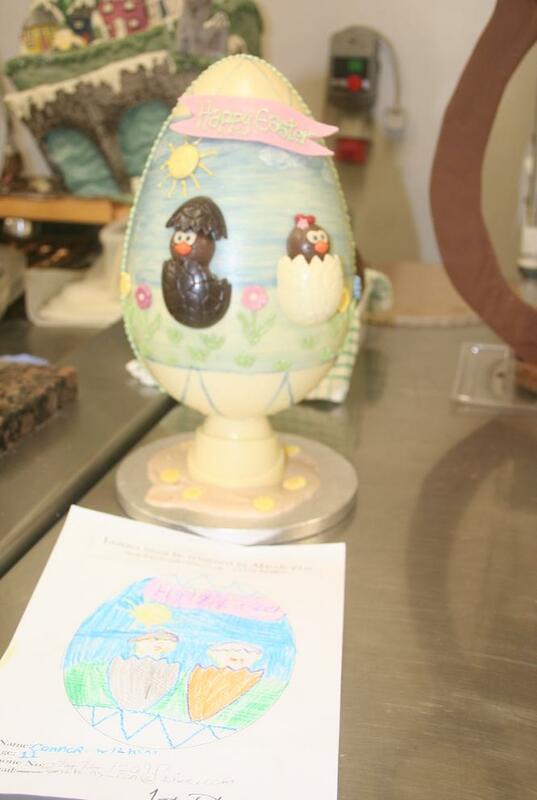 Whilst the huge range of Easter eggs and chocolates on display in the shop were more than impressive, the eggs being created for the exhibition were the most memorable; as they were made from the winning designs submitted by local school children in a competition run earlier in the year. 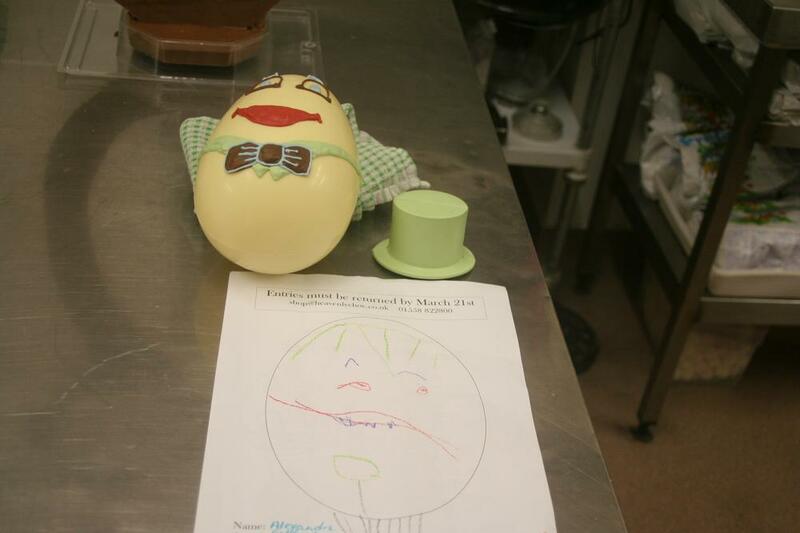 Seeing the original child’s drawing transformed into a piece of chocolate art is amazing and I can only imagine the delight and pride that the competition winners will be feeling this Easter. Now there is only one thing that can top the delectable delights of Easter Eggs and that is the ‘Chocolate, Pudding and Ice Cream Festival’ that is held by Heavenly each November, ooh I know where I’m heading this winter. 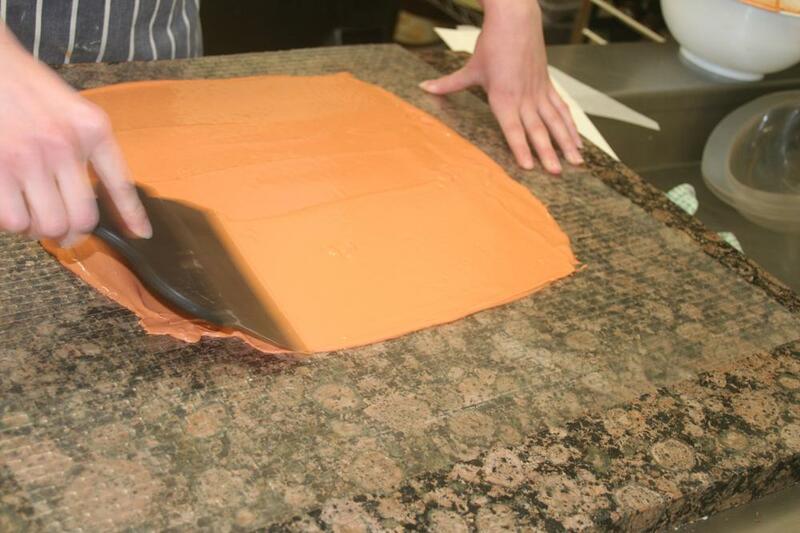 My chocolate egg making efforts will be somewhat more conservative than the ones going on at Heavenly, but my motto is ‘it’s the licking the bowl that’s important’, and I’m guessing that’s why I am not a chocolatier. MINIATURA – 70 AND GOING STRONG! SHELLY BEACH SNIPPETS No 96. March 2018.